In post–Cold War Central America, chronic criminal violence, most commonly perpetrated by gangs, has replaced guerrilla wars and dictatorial repression. Gangs are highly volatile and, as such, their criminal governance is marked by unpredictability. This “fog of crime” has far more pernicious consequences for the population than past forms of violence. “So, what’s new in the news today?”, Adilia asked me as I put down the newspaper I’d just been reading. It has become commonplace to state that the end of the Cold War and concomitant processes of democratisation and liberalisation led to a fundamental transformation in the political economy of violence in Central America, with the most visible expressions of brutality in the isthmus no longer stemming from ideological conflicts over the nature of politics, but from more “prosaic” forms of violence such as crime and delinquency, most evidently in the rise to prominence of gangs and drug trafficking organisations in the region. Such pronouncements are almost invariably followed by the more often than not incredulous observation that this shift has paradoxically led not to a decline but rather an increase in levels of insecurity, albeit irregularly distributed. There is no doubt that large swathes of the population of Central America live under some form of criminal governance Effectively underpinning such astonishment is the notion that the conventional military forces and guerrilla groups responsible for past violence in the isthmus were generally better equipped, more organised, and better trained than gangs or drug trafficking organisations, and were therefore intrinsically able to engage in more intense and higher levels of violence. Irrespective of whether this is true or not, such a perspective overlooks the fact that the fundamental transformation in the underlying nature of brutality in 21st century Central America has consequences that are far more important than a simple rise or fall in violence. This volatility has significant consequences for the experience of insecurity, which is fundamentally changing, a fact that is often overlooked when considering the nature of 21st century violence in Central America. This volatility has significant consequences for the experience of insecurity, which is fundamentally changing, a fact that is often overlooked when considering the nature of violence in Central America. Certainly, gangs in the region have evolved enormously over the past three decades. In Nicaragua, for example, post–Cold War pandillas initially originated as vigilante gangs that attempted to impose a sense of local social order before transforming into economically motivated drug dealing gangs when cocaine began to flow through the country around the turn of the century. These drug dealing gangs were subsequently muscled out by more professional and internationalised drug trafficking organisations in the late 2000s. Similarly, in El Salvador, Honduras, and Guatemala, the maras evolved from initially hybrid local groups combining traditional pandilla culture with US gang culture imported by deportees in the early and mid-1990s, into two territorially disembedded “federations” – the Barrio 18 and the Mara Salvatrucha – who fought each other over spaces of extortion and racketeering. 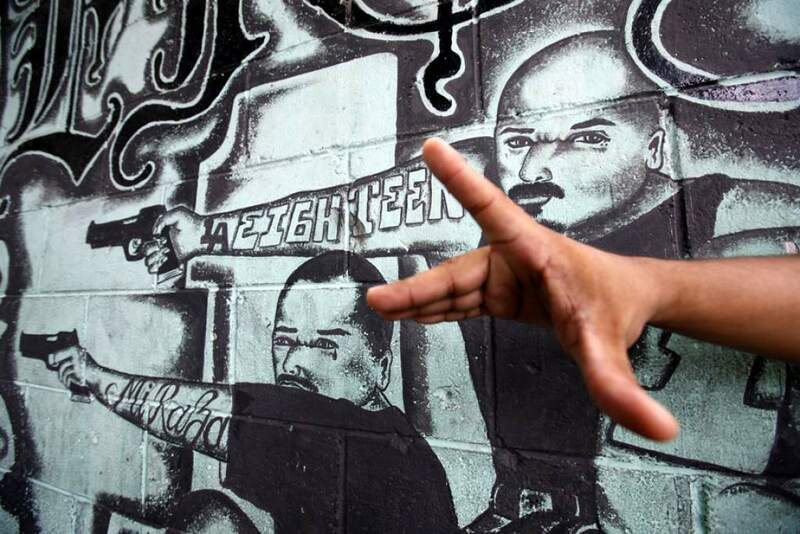 The Mara Salvatrucha then morphed into a drug and migrant trafficking organisation, however, and now dominates the Barrio 18 gang, which has re-localised and is mainly involved in small-scale extortion. The Prussian military analyst Carl von Clausewitz famously introduced the notion that events in war are wrapped in a “fog” of uncertainty. Yet much of the uncertainty of war in practice actually constitutes what – following Donald Rumsfeld, the US Secretary of State during the George W. Bush presidencyThis transforms the lived experience of insecurity in ways that ultimately “join order and disorder into indistinction”. – might be termed a “known” uncertainty. Most forms of military conflict involve clear notions as to who the enemy is and who is not, what the rules of engagement are, and why confrontations occur. These are more often than not commonly understood, and any uncertainty stems from the impossibility of having perfect information about specific elements or being able to predict the outcome of conflicts. Gangs and drug trafficking organisations, on the other hand, while clearly responding to definite internal logics and dynamics, are highly volatile social forms and the underlying nature of their violence can change very rapidly as they evolve. Situations of chronic and long-lasting criminal violence where these institutions dominate, such as those associated with post–Cold War Central America, are therefore characterised by “unknown uncertainties” and this fundamentally transforms the lived experience of insecurity in ways that are inherently contingent, unpredictable, and contradictory, but ultimately “join order and disorder into indistinction”. This characteristic makes what might be called the “fog of crime” arguably far more pernicious than the so-called “fog of war”, thereby constituting putatively “peaceful” post–Cold War Central America as an overwhelming and brutal tragedy.